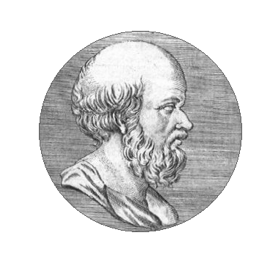 Eratosthenes was the father of what we now call geography. He was the chief librarian at the library of Alexandria and he created the first world map. As well as this, he was a noted mathematician and scientist, inventing an algorithm that discovered prime numbers to a specified limit. Aristotle once said that the world was split into Greeks and Barbarians, and that the Greeks should remain racially pure. Eratosthenes disagreed, saying there was no one perfect set of people. Some people are good and some people are bad. Some days are good and some days are bad. He was, too, known for his love of the outdoors, of nature, the world and its people. So when he contracted opthalmia, he not only lost his sight but his reason to live. A man who derived so much joy from the world reasoned there was no reason to live anymore. He decided to starve himself to death. After about two weeks of starvation, his body’s natural alarm system kicked in. His body began to release different fluids in order to sustain itself just a little while longer. He died at the age of 82, his body no bigger than a child’s. Drusus Caesar was executed for political reasons. He was put in prison to starve to death. He survived for nine days longer than expected thanks to eating the stuffing out of his pillow. Some believe he could have survived even longer had the stuffing remained in the pillow so he could rest his head on something soft instead of a cold, stone floor. Bobby Sands was a member of the IRA. He went on a hunger strike in 1981 and died after 66 days. After hearing about his death, President Abolhassan Banisadr of Iran sent a message to Bobby’s family. He offered his condolences. He also changed the name of Winston Churchill Boulevard to Bobby Sands Street, much to the Embassy of the United Kingdom’s chagrin. Bobby Sands’ hunger strike was the focus of British director Steve McQueen’s film Hunger that was released in 2009. Like a body losing its fat and function, the name of Bobby Sands has been starved too. The name, once representing one thing, now represents a multitude of things. 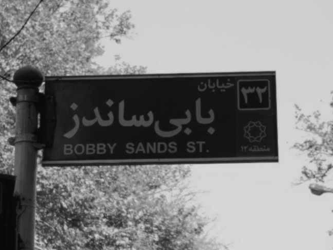 Back in Iran, his name has been used for a shop — the Bobby Sands Burger Bar. At the age of 12, this author — whose father was born not far from Bobby Sands Street in Tehran — became concerned with a lump in his throat. Convinced there was a lump of bread in there, he started to try to cough it up. After a week of performing this action, the author realized he was not eating. The lump in his throat had become a monster. Constantly rubbing his fingers upon his Adam’s apple, he was sure there was food in there. His parents told him that if he were choking, he would not be able to breathe. Undeterred, the author ignored the advice of his parents and decided to believe the voices in his head. Slowly, he lost weight. 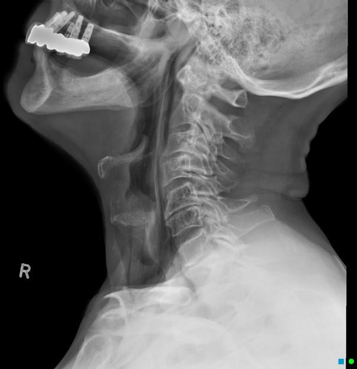 He often saw himself from an x-ray point of view. Dinnertime was a time of dread. He would often cough with his fist to his mouth and spit the food into his hand. From there, he would lower his hand and put the food in his pockets and then ask to go to the toilet. From there he would flush it away. If there were no toilet in sight, he would place the food behind the radiator. Sometimes his father would discover the food crusted behind the radiator and shout at the author. That is not to say that the author completely starved himself. Instead, he created a system of survival. Twice a day he would cook tomato soup on the hob. He would cook it at 10 a.m. and 4 p.m. He would compliment this by sucking the salt off crisps. He would sometimes eat yoghurt, too and drink the gravy off his dinners. He would hold his wrists to gauge how thin he was. He retreated into his own private affairs. After four years, he had forgotten why he was starving himself. This is a picture of the author being swallowed by his clothes. Coming home from school one day, his mother saw his face and cried. She said that he would die if he didn’t eat. So she took him to the doctor. The doctor put the author on Prozac. Prozac increased the author’s appetite. His mother believed it was because he was sexually abused. The author only learned that his mother thought this years later, after he had recovered. Although the author is better now, there are times when the author remembers that lump in his throat and wonders if it is worry about life or whether it is worry at all, or just nothing. One evening, the author laid his head down to his pillow and thought about how hungry he was. He thought he should follow Drusus’s example and eat the feathers out of his pillow. But then he realized he wouldn’t have a comfortable night’s sleep, which is what he wanted. And as he lay there, he fell asleep and had a dream that he’s been having for years now. When the author was ill, he lived in a large Georgian house in the West Midlands of England. The house will now forever be known as a place of nightmares for him. He will never return there. Suffering is often a list of places you can’t return and this is no different. And in the dream the author remembers the house in all its dimensions. The cold tiles in the hallway on his bare feet. The large living room with a piano resting in the half-dome frontage. A back room with two bookshelves either side of a filled-in fireplace. And then, at the back of the garden, where there was a patch of rhubarb is now a grave. The smell can be detected from halfway down the garden. The corpse’s stench is foul. In the dream, nobody in the world has woken up yet. It is only the author who is awake at this point. He feels guilt in his stomach. Did he do this? Did he murder somebody? He isn’t sure. He wipes sweat from his brow and decides to dig the grave and see what is lying in the ground below. After hours of digging, he finally sees what is buried in the back of his house, the place of his nightmares but he doesn’t say what it is. This is where the author wakes up and waits for another time to catch that moment again, living for the nightmare’s answer. Oliver Zarandi is a writer and editor. His latest work has appeared in The Quietus, The Boiler, Peanut Gallery Press, The Alarmist, HTMLGIANT, Dum Dum Zine and thenewerYork. You can contact him on twitter @zarandi or visit his website: www.oliverzarandi.com.